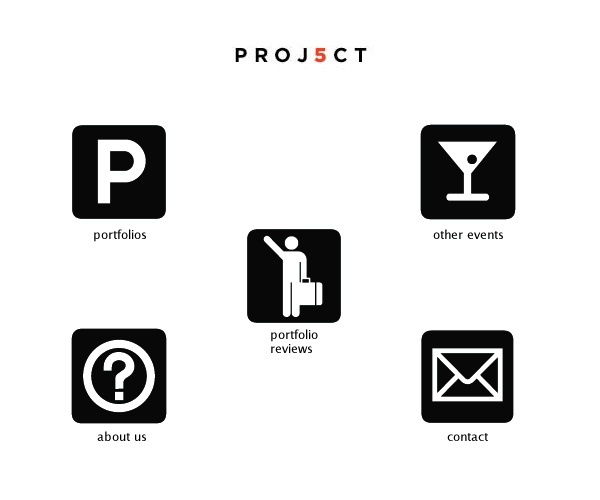 The PhotoCorps – Grant Ernhart from ricky montalvo on Vimeo. 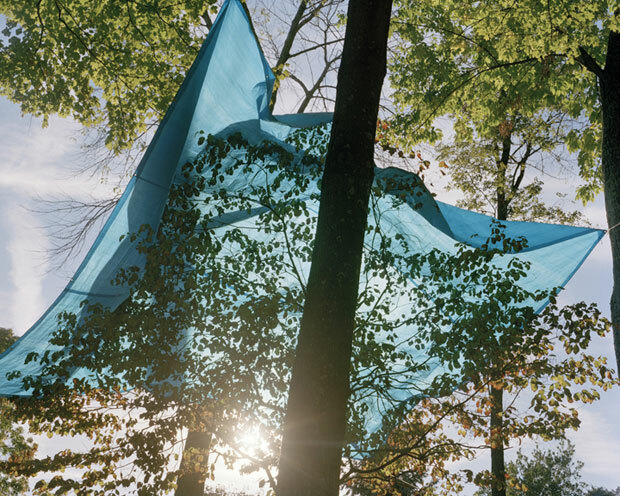 A few months ago Ricky Montalvo interviewed me as part of his project called the PhotoCorps. These small films/slideshows highlight each photographer’s work and are then married with the audio which was the result of the interviews. The results are beautiful little windows into the creative process of each photographer as well as their thoughts on the medium. Currently, you can see the videos for Lisa Wiseman and Audrey Jones in addition to my video(which you can see above). Even with only three videos finished it is apparent how unique and personal the creative process can be and I think that diversity is fascinating. When you have a minute go and watch all the videos that are finished and check back periodically because I know there are more to come. Thanks Ricky! This week has been a great and busy one! I have been in the studio fine tuning my portfolio for the Project 5 Portfolio Review in New York City this coming weekend. I am taking the red-eye Friday night to the City and will spend Saturday with my sister who will still be there after a week of business and then the event actually happens on Sunday for most of the entire day. I am looking forward to my meetings with ClampArt, Amador Gallery and the Foley Gallery. I also hope to meet Sasha Wolf, who is another participating gallerist. The only bummer in all of this is that for whatever reason I have come down with a raging cold! It came in like a lamb last Sunday morning with just a small scratchy throat, but it seems to enjoy living in my head and has not made any announcements about leaving. Cross your fingers that I will make a rapid recovery for my fun weekend! PhotoAlliance and the San Francisco Arts Commission Gallery are pleased to present 10 x 10 x 10, an invitational exhibition with 100 works of art on the ground floor of San Francisco City Hall. For this exhibition, 10 local arts professionals selected a photographer that they felt deserved greater attention and support. The 10 artists that were invited to participate will exhibit 10 photographs that were chosen through a discussion with their curator. The curators also submitted a statement about the significance of their artist’s work, and the reasons behind their appreciation. The photographs in this exhibition are an eclectic mix of images ranging from raucous street photography to sublime landscapes, and from elegant portraits of meat to bleak images of corporate America. 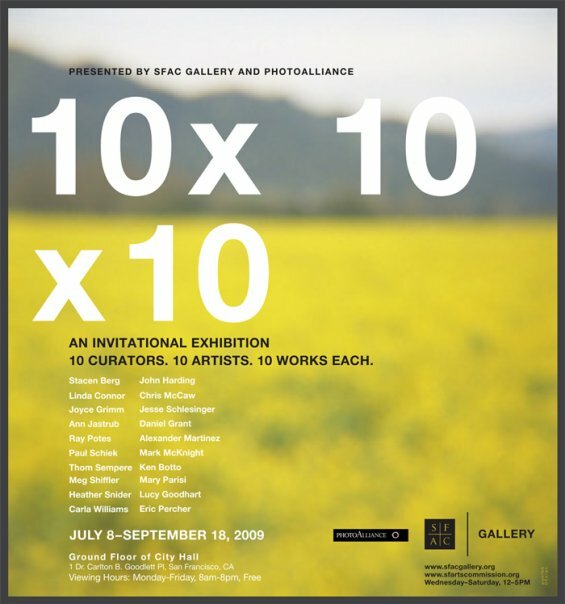 10 x 10 x 10 marks the third annual large-scale exhibition collaboration between the SFAC Gallery and PhotoAlliance. The opening reception is tomorrow night beginning at 5:30. I will be there for sure as my friend Mark Mcknight was picked by Paul Schiek and has work in the show. I am also looking forward to seeing a bunch of pictures by artists that I had not heard of until now. Way to go Photo Alliance for a great idea! Assuming that made no more sense to you than it did for me I will also tell you that AM Herculis is the name of my friend Chad Salmela’s new band! 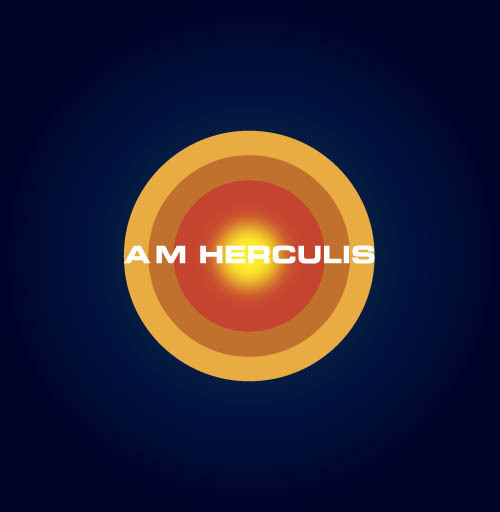 AM Herculis recently put out a new album, and I included the first song below in this post, or you can hear a few more tracks on the band’s myspace page. I am glad to see that my friend is still being creative and making new music. Duluth has a thriving local music scene, which occasionally launches some bands, such as Low, out into the greater world. If you ever want to sample the range of music that happens around Duluth plan a trip there to coincide with the annual Homegrown Music Festival,which happens every spring. This past Sunday I went to the SF Moma to see a little bit of art. I really was planning on quickly walking through and then spending a couple hours sitting outside at the cafe reading a book with my girlfriend. However, once we got to the museum we saw that the cafe was cLose Weight Exercise/”>Lose Weight Exercised and were a little disappointed. 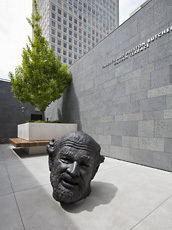 Then I remembered that the museum recently complete a new Rooftop Sculpture Garden and we had not seen it yet. I think I can say that we were both happily surprised at how well done and welcoming the roof top area felt! It is a nice addition to the museum, with two outdoor areas for sculpture and a well sized inner space that is open to the outer courtyards through sliding glass walls that were all the way open when we were there. The other good surprise was that the new addition also included a small coffee bar up there as well! I will definitely remember this small comfortable spot in the city for my days off. 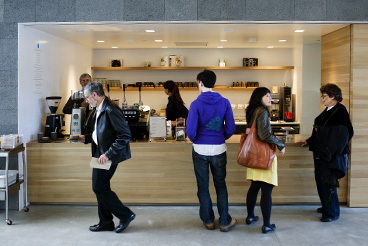 It is a perfect place to see some art, drink a coffee, read a book, journal and relax, plus they are serving Blue Bottle Coffee. Perfect. 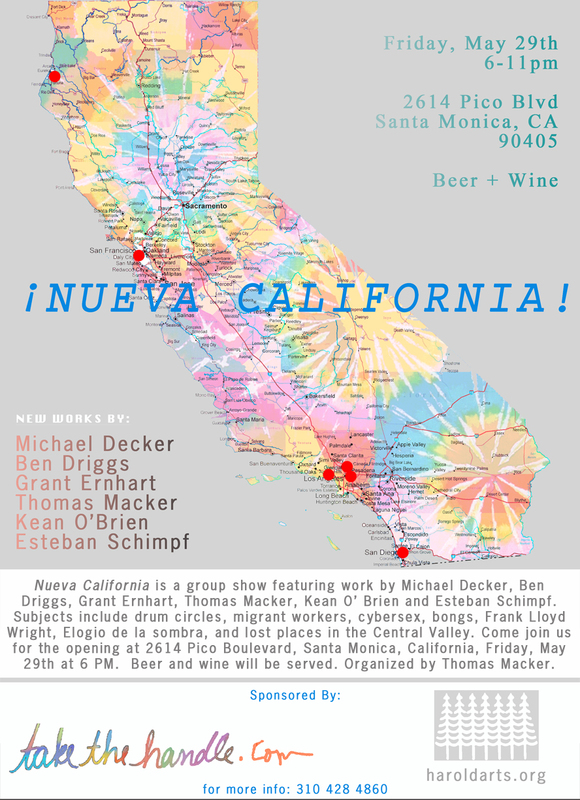 Nueva California is a group show featuring work by Michael Decker, Ben Driggs, Grant Ernhart, Thomas Macker, Kean O’ Brien and Esteban Schimpf. 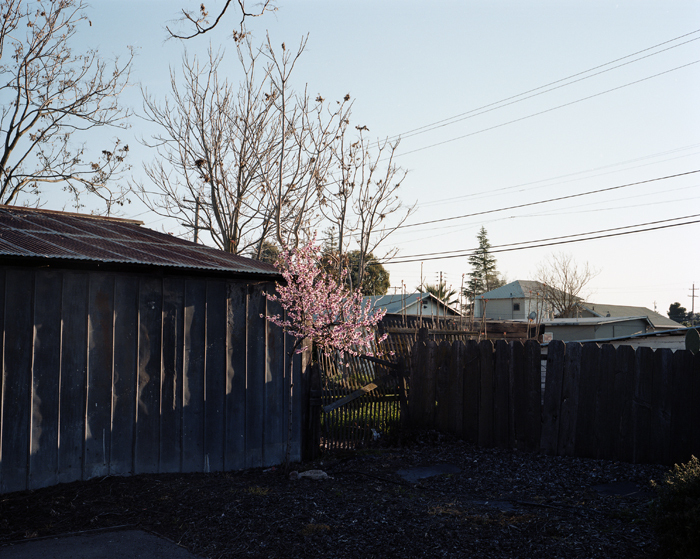 Subjects include drum circles, migrant workers, cybersex, bongs, Frank Lloyd Wright, Elogio de la sombra, and lost places in the Central Valley. Come join us for the opening at 2614 Pico Boulevard, Santa Monica, California, Friday, May 29th at 6 PM. Beer and wine will be served. Sponsored by Harold Arts and Take The Handle Magazine. This should be a pretty fun opening, so if you happen to be in the L.A. area please come by and say hello! If you are able to attend I would really recommend it, should be a good time! Allison Grant was one of the new people I was lucky enough to meet at my Harold residency last summer(By the way, today is the last day to apply for this summer’s residency! Hurry up if you are interested). I think her work is interesting for multiple reasons. 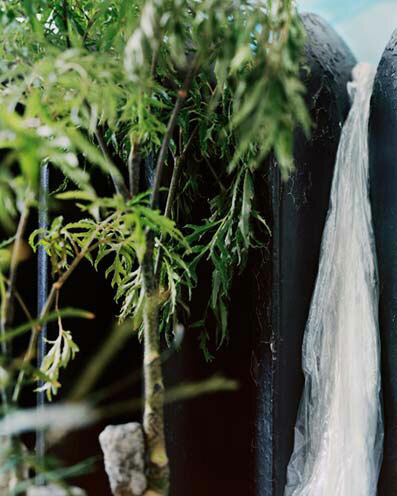 First, I find that much of her work is very seductive, in the sense that her images make me want to spend time with them and to parse out the way she shot them and the purposefulness behind them. 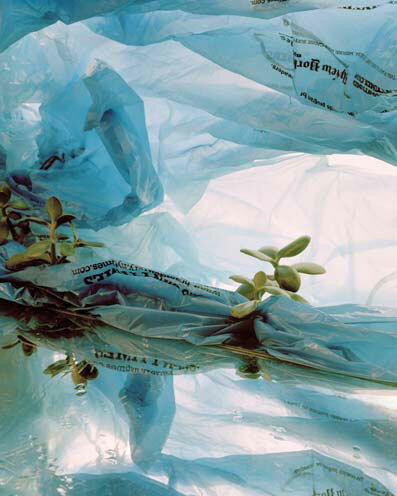 Allison is trying to meld her interests with photography with her questions/concerns over the reality that humanity is slowly consuming our environment and irrevocably hurting nature. One of the things I most admire about her work is that in order to tackle these issues she has sought ways that she can contribute to the existing dialogue without being overly didactic or being overly obvious. She is not flying all over the world to photograph the receding glaciers or melting ice caps, the whole while releasing loads of carbon emissions, thus contributing to the current dilemma. Instead, she is working from her surroundings in Chicago, utilizing the materials of the everyday that are slowly piling up everywhere in our throw away culture. I can finally write a post highlighting my good friend Laura Swanson. She has made the decision after much debate to create a website and share her work. This is good news for us. Laura is currently an MFA candidate at RiSD, but she cut her teeth here in San Francisco at SFAI. Laura is also a former Minnesotan, which creates an even tighter bond than being merely SFAI alums! 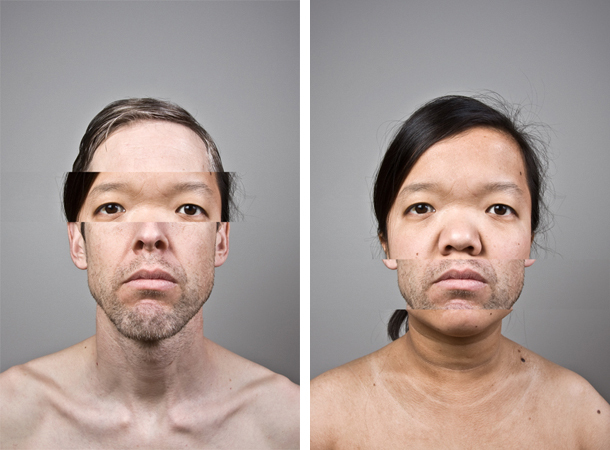 She has been continuing to focus on portraiture and self-portraiture during her stint at RiSD. I think much of her new work is simultaneously beautiful, slightly humorous and a little bit disturbing. It definitely makes an impact when it first comes across your eyes, but I think it also deftly navigates the topics of difference; cultural, gender and otherwise. Take a minute and visit her newly revamped and hopefully permanent web presence, there are plenty of interesting projects to see. Over on Vimeo, Ricky Montalvo, has just posted the Official PhotoCorps Trailer. The series is an audio/visual video inspired by the Pause to Begin series. Ricky is a film maker and photographer and he has started interviewing other California photographers about their work, life and process. I met with him about a week ago and had a really great time giving the interview, which really felt more like a conversation. I am looking forward to seeing the final products of each of his interviews, but until then here is a short trailer that you can check out.